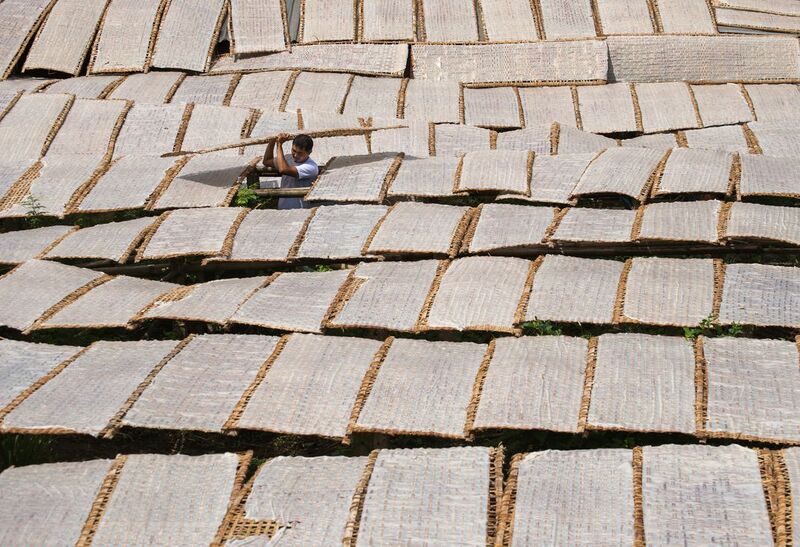 The noodle mats dried under the sunshine after that these noodle are commonly taken out of mats and cut into the long strings. Handmade noodle made by rice flour is used to make one of the traditional delicious dishes in VietNam like Pho, Noodle. It is said that in next coming years local people here will buy the modern production machine line to make dried the noodle mats, no need sun-dried under the sun anymore. Date Uploaded: Sept. 7, 2017, 4:53 a.m.